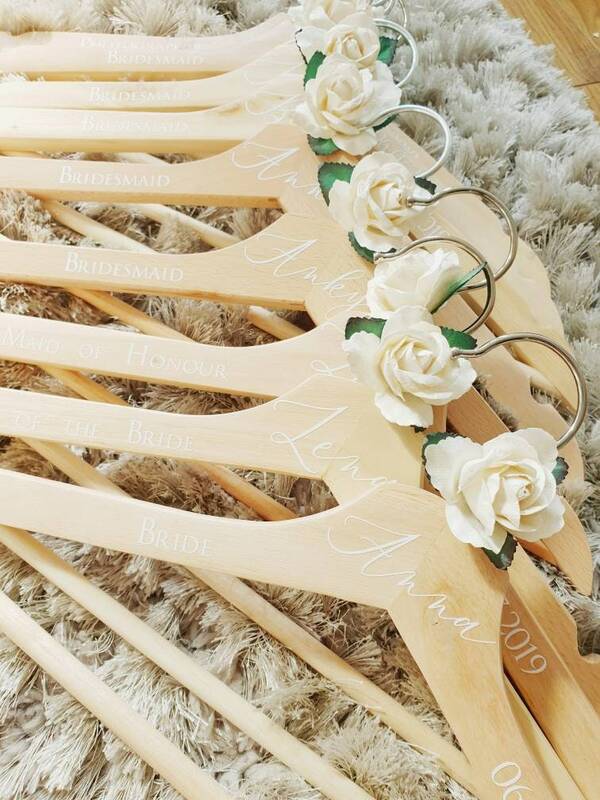 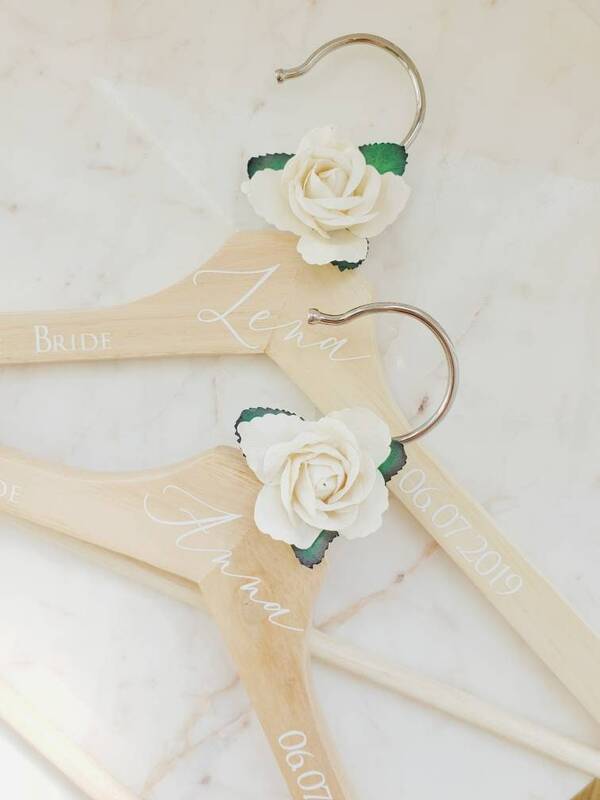 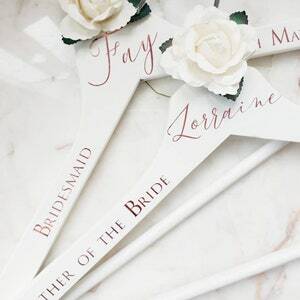 Our personalised hangers are the perfect addition for your special occasions, outfits and to capture the most elegant photographs. 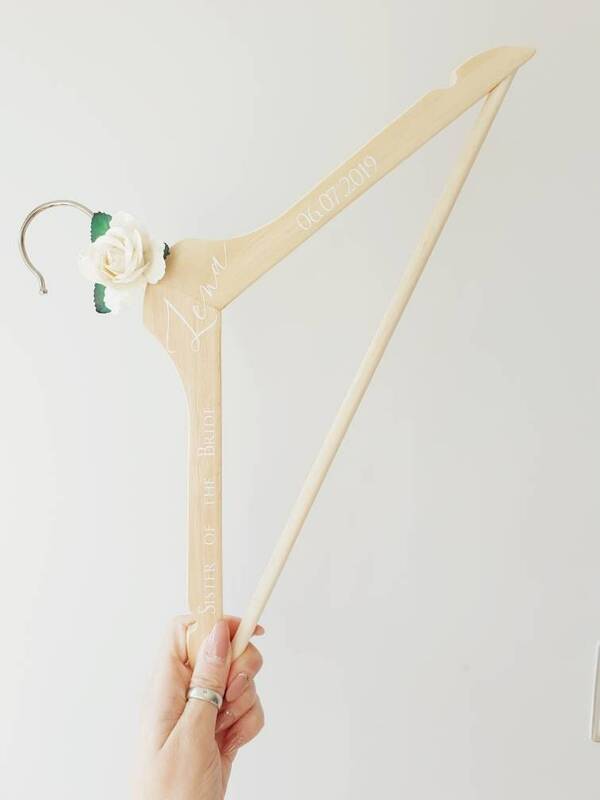 White wood hangers or natural wood hangers available in both adult & children sizes. 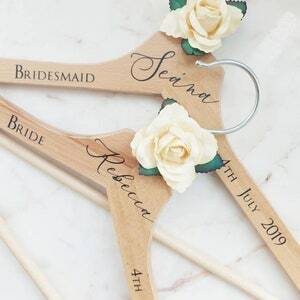 Added with personalised name, role and date. 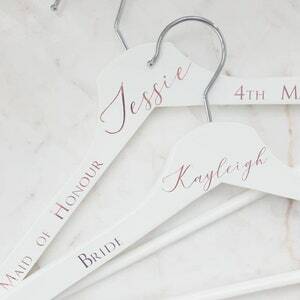 Each and every hanger is inspected to ensure it is at the highest quality before personalising. 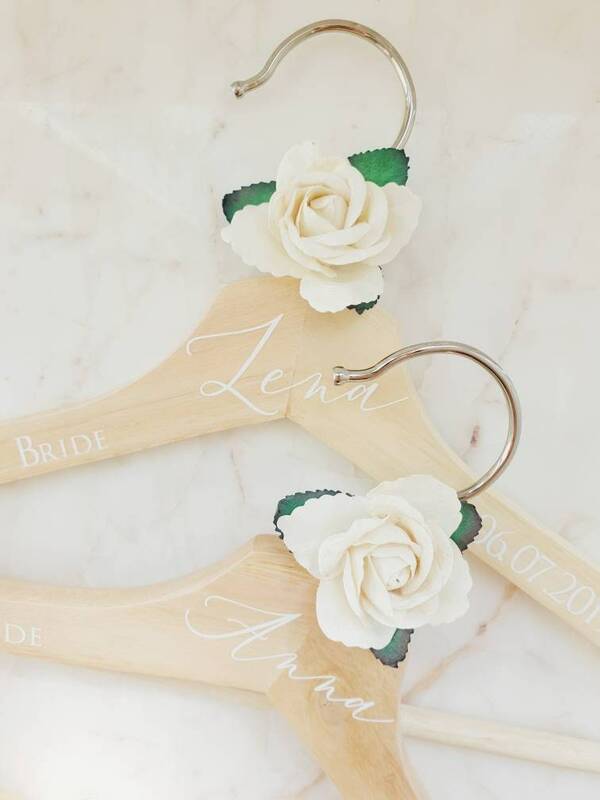 Please note that the natural wood hangers may vary slightly in wood shades. 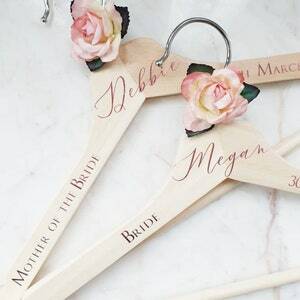 Please add alongside the personalisation if any hangers are to be on a child’s hanger.